Since 2009, Gigya has processed 1.5 billion social logins and the demand for Gigya’s technology is so great the company is also expanding its international presence. 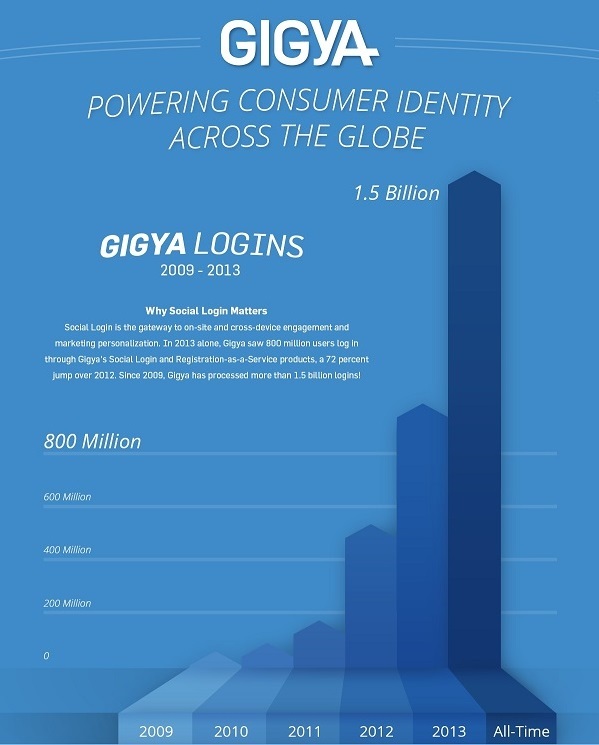 Gigya, a provider of social identity management solutions, announced today that it processed more than 800 million social logins during 2013. In fact, 2013 was a huge year for the company, which experienced a 72 percent increase in use of its social apps and registration-as-a-service tools since 2012. In addition to the increased use of its registration services, Gigya also works with clients in 46 countries and 700 of the worlds biggest brands. During 2013, the company added several high profile clients to its roster, including AARP, Japan Airlines, Tommy Hilfiger and World Wrestling Entertainment. 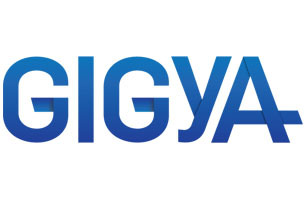 Since 2009, Gigya has processed 1.5 billion social logins and the demand for Gigya’s technology is so great the company is also expanding its international presence. The company has also released a new social analytics technology that enables marketers to see consumer data captured through the use of Gigya apps. Check out the infographic charting Gigya’s growth below.